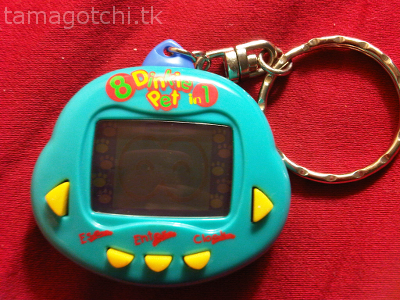 The 8-in-1 Dinkie Pet is a multipet made with the same programming as the regular Dinkie pets, but there are 4 additional pets that cannot be found in any other Dinkie version. 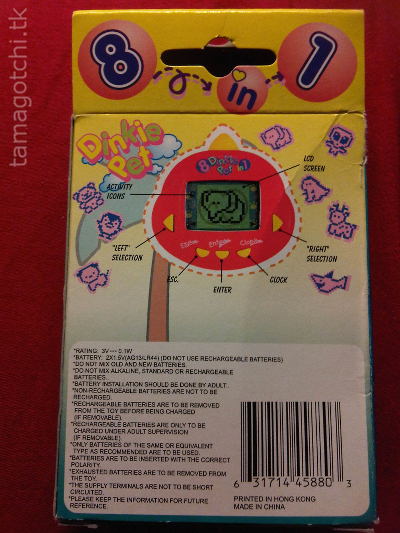 There is already a 4-in-1 Dinkie, which itself is pretty rare, but I believe the 8-in-1 version is even more rare, because I've only just started seeing it recently. 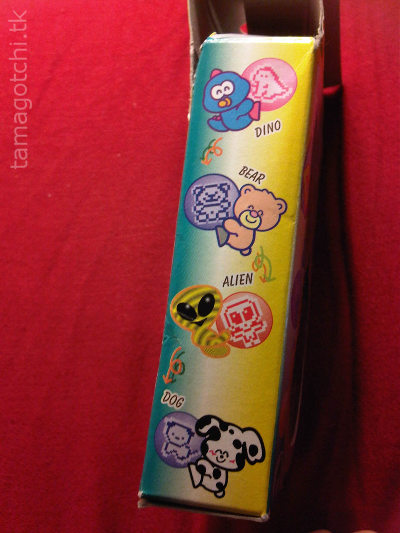 In terms of Dinkie characters and growth, it comes with the standard Dino, Yuki (Penguin) and Alien characters, with an extra Puppy, Teddy Bear, Deer, Shark and Elephant. All of the characters only follow one unique growth pattern, whereas with regular (non multi-pet) Dinkie pets you usually get 3 different possible growth patterns per animal. 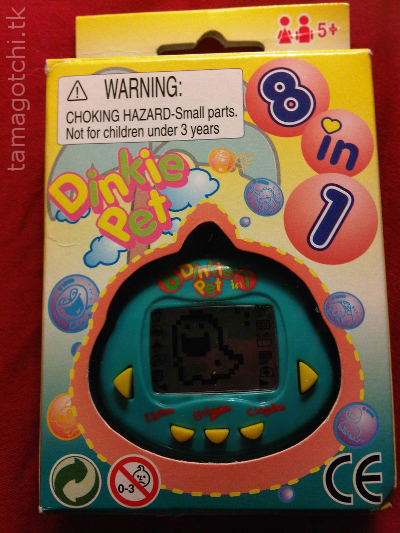 Interestingly enough, this multi-pet has slightly different sounds from the original Dinkies; they are a lot softer and cuter in my opinion. There are also two extra icons, one for an alarm (I believe) and the other to switch between characters. I think when you switch to another character it will put your former character on pause until you go back to it. It is also quicker to change to the clock mode than other versions, which usually had a really laggy animation that would take forever to switch between the clock and the pet, so that is a great benefit. I've seen this pet in two different shell colors: teal and red. 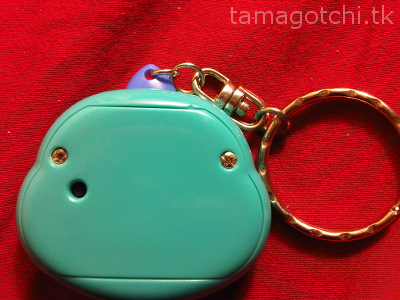 I chose teal because I hate red. I am assuming that there may be other colors out there since most dinkies come in 4 different colors, but I don't know for sure. 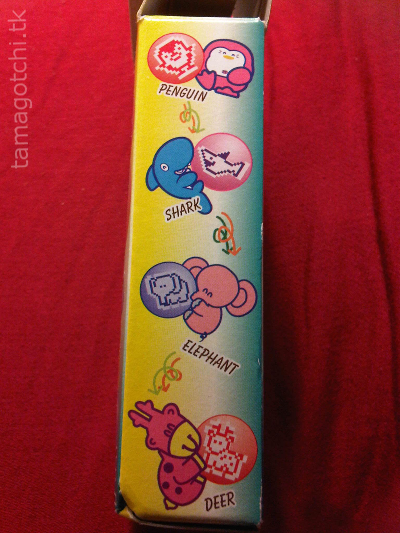 The logo on the shell is slightly different than other Dinkies because it says 8-in-1 on it, as opposed to the individual animal name. I give this pet a 9 out of 10. I think it would have been cool if they had made three different growth patterns for each pet, and frankly the game can be a little annoying, but I love Dinkies so much and the shell is very high quality in my opinion. 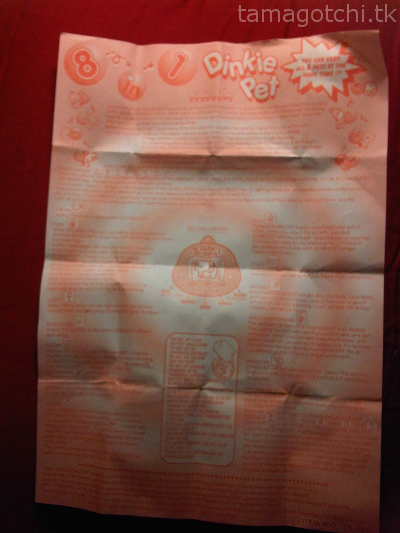 It also came in a really cute, compact box with really nice detailed instructions manual.